See our archived webinars below. Towns, cities and counties are using policy to support healthy eating in many ways. 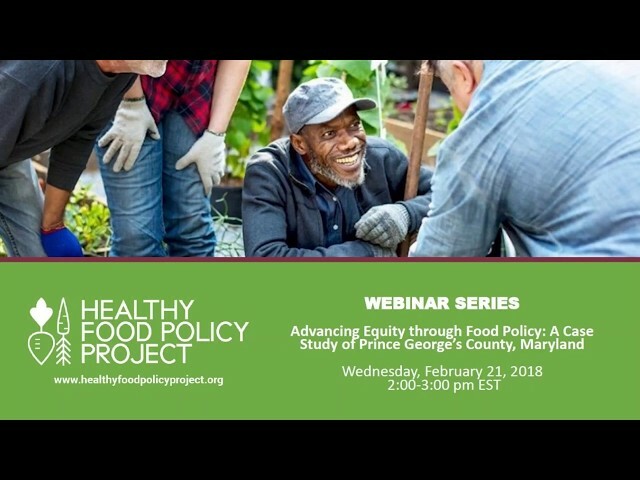 The Healthy Food Policy Project has developed an online policy database to help communities identify local laws that can improve access to healthy food across the food system. These laws can focus on socially disadvantaged groups, and approach health holistically to include environmental and economic goals. We will explain how the database was developed, the range of policies it includes, and demonstrate how it can be used to support healthy eating policy work across a wide array of communities. 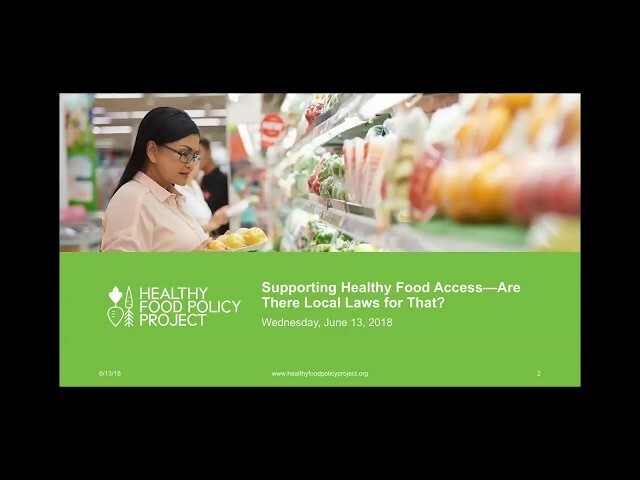 Supporting Healthy Food Access—Are There Local Laws For That?